This is a very readable book, made more so by an excellent mix of theory, actual examples and anecdotes… Anyone involved in job setting should consider this essential reading. – Sheila Bullas, Director, Health Strategies Ltd. 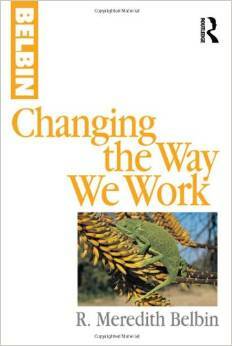 In Changing the Way We Work, Dr. Belbin describes a radical new approach to work allocation and distribution, designed to improve efficiency. Many problems at work arise from the way in which jobs are set up and work allocated. Commonly, individuals lack a clear understanding of their duties, and so spend time and energy disentangling their responsibilities from those of their colleagues. In other cases, people may be so hemmed in by job specifications that they aren’t afforded any room for movement or initiative, and begin to feel stifled. Dr. Belbin points out the need for an alternative system, where jobs can grow and develop. In such a system, communication regarding work can flow upwards as easily as downwards, giving people at all levels a good idea of what is happening. Dr. Belbin’s approach (“Workset”) incorporates colour-coding and information technology derived from current, international experiments. Workset is a new means of delivering greater efficiency in a dynamic process, which involves managers and jobholders alike. Assigning the right tasks and the right responsibilities to the right people is the essence of what the job of a manager is all about.